Photo: Tonto Dikeh Suffers Mouth Odour? Yesterday was the International Peace concert in Nairobi,Kenya and its aim was to help build the country’s entertainment industry and promote peace. Notable personalities in the Nigerian entertainment industry like Barrister Kenneth Okonkwo, Mr Agility ,Mrs Abia,Tonto Dikeh and John Okafor was invited by some of the top organizations in Kenya to grace the ocassion. The event was organized by Dola Kabbary Foundation and Chae Kenya Society is to start today Friday July 7 and run through Saturday July 8, 2017. 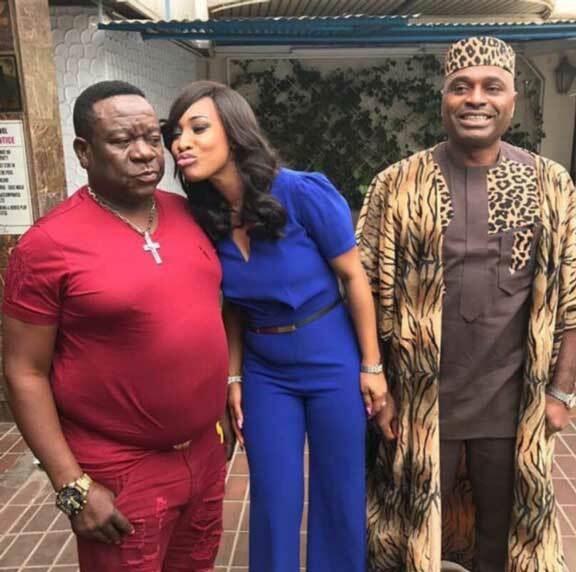 John Okafor who has won different awards such as nollywood comedian of the year came into limelight when he starred in the movies Mr Ibu. He has numerous movies to his credit.